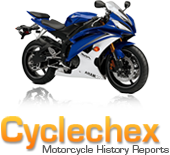 Products - iMobile Solutions, Inc.
Cyclechex provides instant access to an online Motorcycle Vehicle History Report at a modest cost, which may include VIN decoding, disclosed damage, salvaged or stolen titles and more. The reports gather their data from multiple sources, including, but not limited to, governmental agencies, in order to provide the most current information available. CarVINreport provides instant access to an online Car Vehicle History Report at a modest cost. A CarVINreport provides buyers and sellers an invaluable guide for decision making and gives them a comfort level that would be unavailable without the information contained in the Vehicle History Report. The CarVINreport Team is committed to making the CarVINreport brand and service one of the best known and most reliable sources of critically needed vehicle information in the automotive industry. 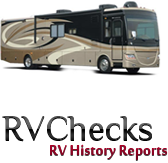 RVchecks provides instant access to an online RV Vehicle History Report at a modest cost. We're determined to deliver RV history reports that educate and inform our customers by offering information that will help them make the best decisions possible as they consider the sale or purchase of a pre-owned RV. Buying a Recreational Vehicle is often a very costly expenditure, and selling them is not without challenges. Our purpose is to help make those decisions less risky and more confident for all concerned. Whether you're looking to purchase a pre-owned RV, or hoping to sell one, an RVchecks Vehicle History Report will make the decision easier and more reliable. 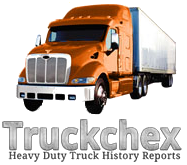 Truckchex Commercial Truck provides instant access to an online Vehicle History Report at a modest cost. We're determined to deliver Commercial Truck Vehicle History Reports that educate and inform our customers by offering information that will help them make the best decisions possible as they consider the sale or purchase of a pre-owned Heavy Duty Truck. Buying a Commercial Truck is often a very costly expenditure and selling one is not without challenges. Our purpose is to help make those decisions less risky and more confident for all concerned. Whether you're looking to purchase a pre-owned Commercial Truck, or hoping to sell one, a Truckchex report will make the decision easier and more reliable. 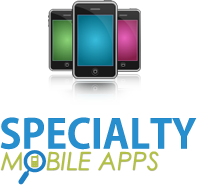 Specialty Mobile Apps provides retail dealers, consumers, vehicle manufacturers, and vehicle auction companies with highly customizable Mobile Application products, that operate on multiple platforms, such as, iPhone, iPod Touch, iPad, Android Mobile Phones, Android Tablet, and Kindle Fire which enable iMobile Solutions, Inc.'s client companies an opportunity to communicate with their customers and others, in the most technically advanced and creative methods currently available. Dealers can upload images, choose color themes, customize tabs, and create a fully branded experience. Once created, the mobile application is generated, packaged, and made available to the dealer's customers through the respective App Store. Specialty Mobile Apps makes it possible for dealers to maintain a custom made mobile application that allows their customers to access vital dealer and vehicle information right from their mobile devices! From hours of operation, to inventory to promotions to VIN history reports, to Push Notifications and more. 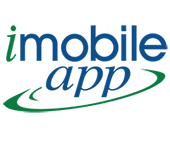 iMobileApp develops mobile applications specifically for small and growing businesses such as retailers, restaurants, liquor stores, grocery stores, service providers, and more – the list is endless. Our applications increase top line revenue, build brand loyalty and engage users to create repeat customers at an affordable price. The iMobileApp Development Team takes the lead in creating and developing the mobile app, provides exceptional customer support and also offers full mobile app campaign management to ensure that our clients receives the greatest benefit from their app. Both, Specialty Mobile Apps and iMobileApp provide our client companies with highly customizable Mobile Application products, that operate on both Apple and Android devices and enable our client companies an opportunity to communicate with their customers in the most technically advanced and creative methods currently available. From Geo-fencing messaging to integrating social media accounts, and more. These Mobile Applications are packed full of amazing technology.